It’s not my fault that I like parties but you know now, as a party lover, I can’t carry last. 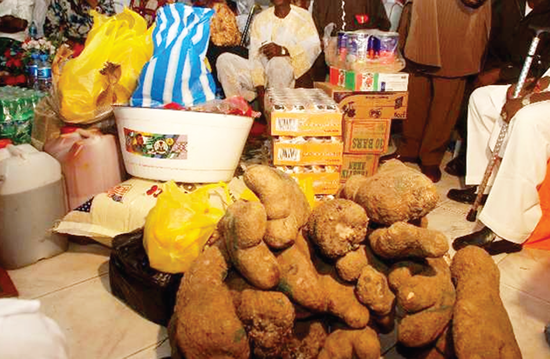 So I went for an owambe at Ondo state, Akure to be precise and I never knew there were classy and nice halls there. Don’t blame me, I have always thought it wasn’t a lively town but those people can turn up mehn. I got to know that anyway. 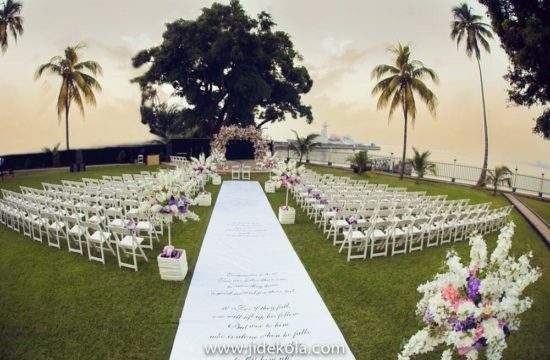 In case you have an owambe in Ondo state and you are thinking of a hall, I have compiled a list of the top 5 wedding venues in Ondo State. 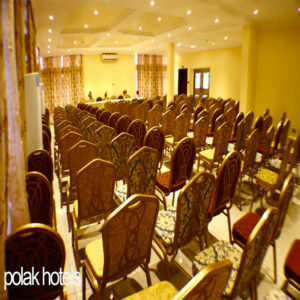 Polak Hotel Hall: Private events such as wedding banquets, anniversary celebrations and birthdays are equally welcome and will meet with the dedicated team’s innovative ideas, expert attention to detail and warm hospitality. The ambiance ensures that all your functions are well catered for. They also supply the necessary food and drinks. 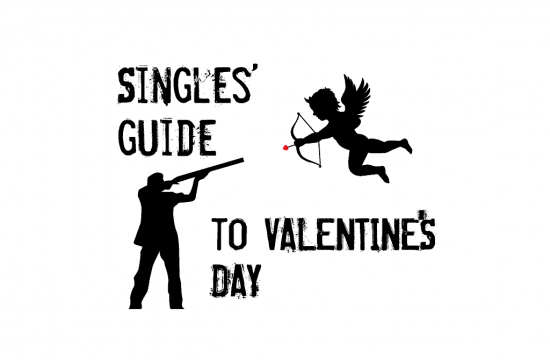 And also the requisite manpower to guarantee that all occasions hosted there would be one to remember. Corporate occasions such as seminars, conferences, product launches, press briefings and awards ceremonies are all welcome. Each would be professionally looked after by an experienced Meetings & Events Team. 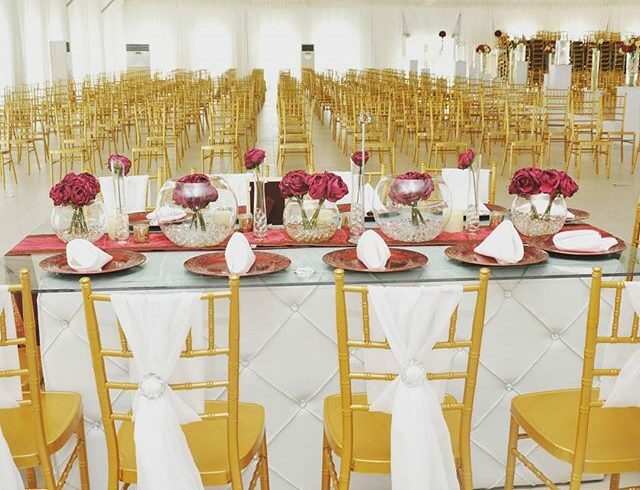 Ruby”s Court Event Centre: The Events Centre is strategically located off Ilesa – Benin Highway. 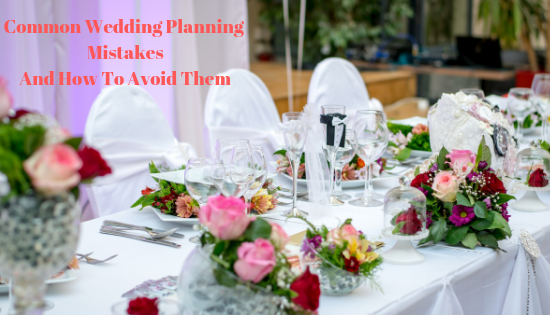 It offers services for those who have a taste for the best when it comes to organising and managing events. 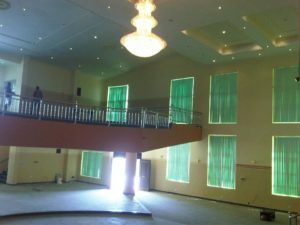 An upscale Events Centre with two floors (ground floor plus gallery). 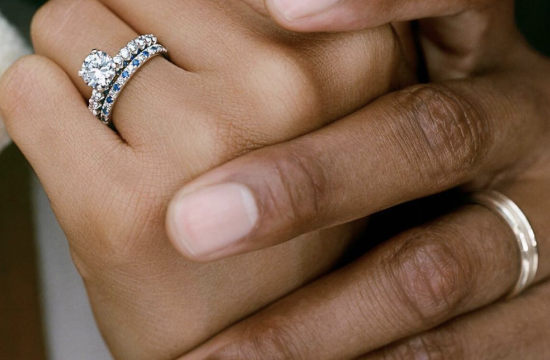 Classy is just a tip of the iceberg with. 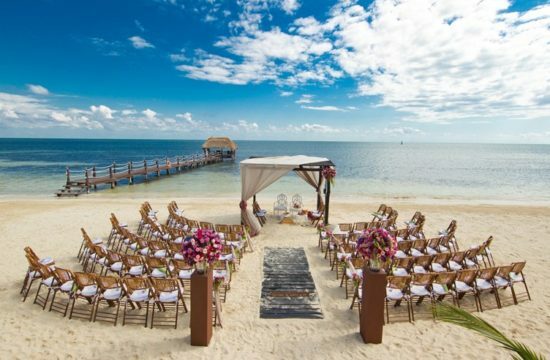 An Event Centre aimed at pleasing you and granting all your wishes on that special day. Classy chandeliers to add glam to your day. 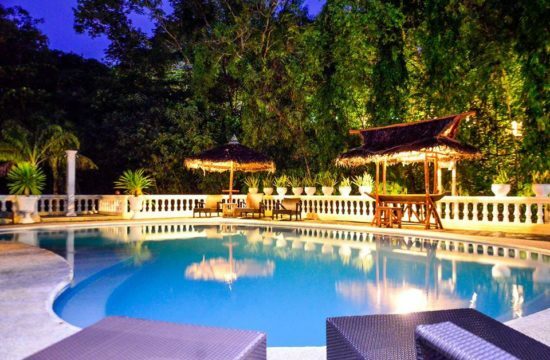 It is located in a serene environment that is accessible from every part of Lagos. State of the art changing room and classy restroom after devouring the owambe delicacies await you. 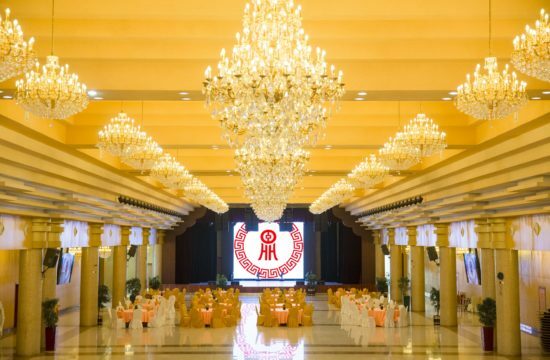 It seats comfortably 1000 guests in a banquet setting and 1800 guests in a theatre setting. 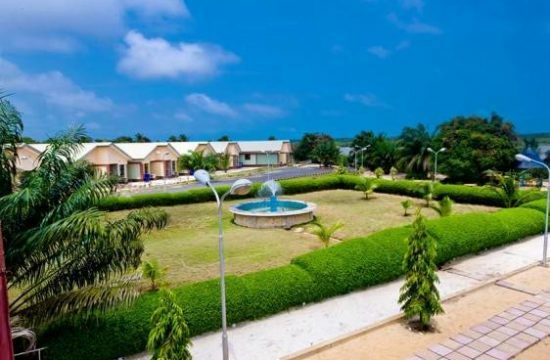 A very spacious compound for flawless parking of cars is available for your guest. 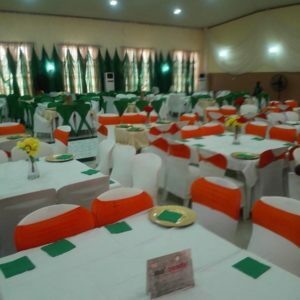 Dot Events Hall: located on a spacious landmass within the premises in a serene and secured environment in Akure with full AC. 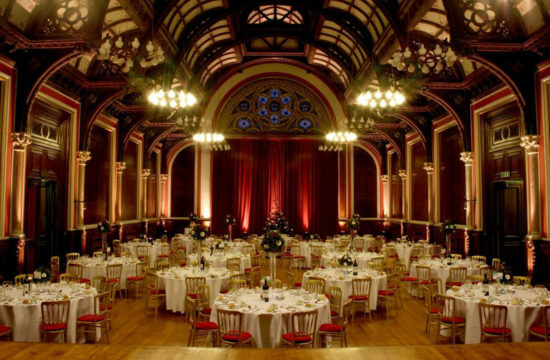 The hall is suitable for all kinds of events with a capacity of 1000 guests. Together with the experienced events managers and award-winning hospitality, they ensure that your experience with them is extraordinary and truly memorable. 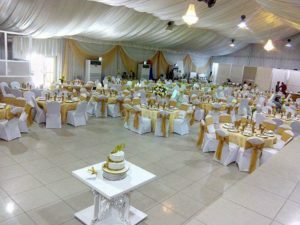 Gpm Events Centre: Be classy on your memorable day with state of the art decoration. It seats 2000 people in a banquet setting. Facilities such as tables, chairs, restrooms, changing room, air condition, 24-hour power supply, fans and reliable security are available just for you. 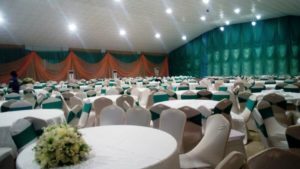 Types of events you can host at GPM Event Centre include; Wedding reception, Marital vows, Seminars, Religious activities, Meetings, Trade shows, Dinners, Press conference, Networking events, Birthdays, Anniversaries, Music concert, Gala Night among others.